• The breakthrough technology of the pet dryer brings natural heating and quiet, insulated operation to improve productivity in grooming shops. • Powerful, high velocity dryer delivers a high volume of warm air to blast water from coats without damaging coats with heat. • Two-stage filtration and solid state variable speed controls. Two speeds allow you to be carried and handle anywhere you need it. 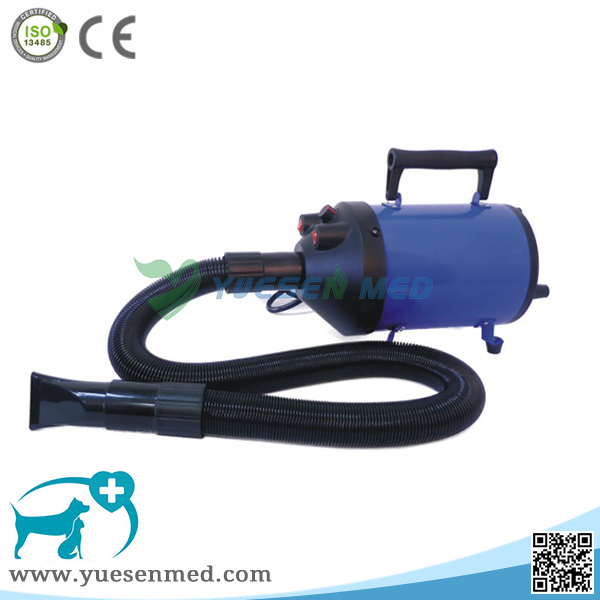 • The unit has a 3 meters puncture-reisistant, triple reinforced, flexible hose with four nozzles options, air concentrator and air flare, to handle all-size pets and all coats. • Constructed of rugged, durable steel and built to last, with non-skid tabs on bottom. • Filter is washable and easy to replace. 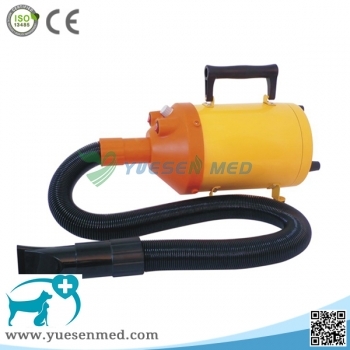 • Airflow control, air concentrator, air flare, and groomer rake, etc.